Like any overarching trend in music, the world of synth pop is at a tipping point. Everyone with any desire to get their songs heard at all is dragging out their Korgs. Or being Swedish. The Swedish do pop amazingly well. Just look at Robyn: Swedish and amazing, no? 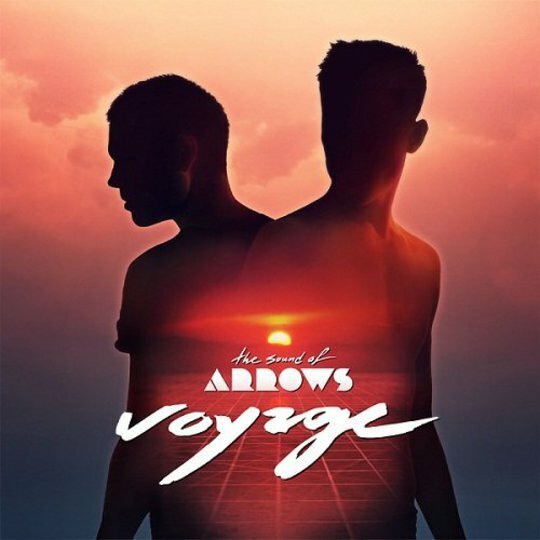 The Sound of Arrows are Swedish popsters who dug out their keyboards and put donks on it. So debut album Voyage should, by definition, be amazing, right? The burgeoning late Eighties/Nineties influence looms throughout. 'My Shadows' is backed by that chiming electric flamenco that dominated MTV Europe for what felt like the entire late Nineties. Opener 'Into The Clouds' joins in the fun with an intro sounding like the soundtrack to a late Eighties' warrior epic, a keyboard organ mode announcing their arrival into The World Of Pop. Recent single 'Magic' is all fun and children's choral singing and the album's catchiest moment. The rest of the album is a fairly standard, er, voyage through nice pop music that knows what it's doing and wants to take you along for the ride. 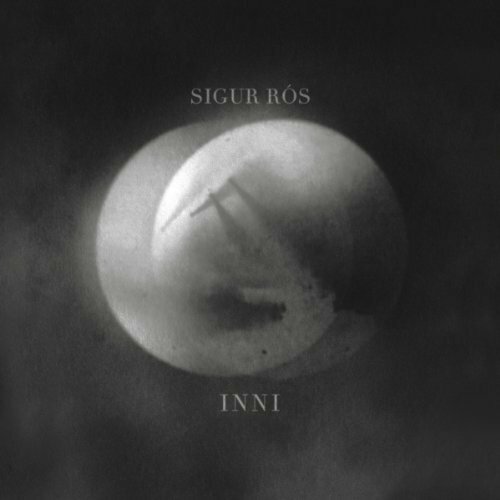 "I'm gonna work my way out of this jam/I'm gonna be someone and know who I am/But right now I don't think that I do", the album's opening line on 'Into The Clouds', is just a great lyric from any pop album of recent years. Filled with hope, longing and sheer despair all in the space of one stanza, it sums up exactly what can make pop so special and why people still love it so. It doesn't need flowery literary allusions to prove its worth; where these lyrics are special is in their quiet, understated directness, conveying the messy contradictions of feelings that just about everyone on the planet has experienced at some time or another. From ‘Longest Ever Dream’ to closer ‘Lost City’, a lot of this album is about its willingness to be subtle where everyone else would bang down a door. And yet... there's something that leaves me feeling a mite cold about it all. This is pop at its most precise, its most assured, its most polished. It's essentially a younger version of Pet Shop Boys, but with not as much of the wit and knowing winks. Whether you like The Sound of Arrows will, I suspect, depend a lot on how you feel about PSB’s arch, detatched style. 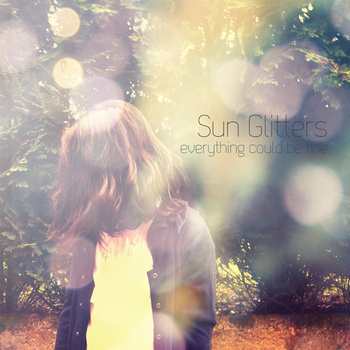 For this listener at least, it's a studied evocation of nostalgia and pop structure, which feels like it’s observed at a distance; easy to appreciate on an academic level, but hard work to connect with on a level of pure feeling. It’s possible I’m being too harsh, a cynic thwarted by a world of pain that The Sound of Arrows are only guilty of trying to liberate everyone from, by being nice and gentle popsters rather than the rambunctious, shake-you-out-of-your-tree lunacy that dominates most current pop music. Because unlike most of its current competitors, for all its studied poise, Voyage has a refreshing complete lack of cynicism. The old cliché is true: the hardest thing in the world to do is write a perfect pop song. And part of the reason for that is because all the best pop songs are impeccably crafted but sound like they could fall apart in a shambolic hail of fire at any given moment. Voyage, to be fair, doesn’t ever fall apart, but that’s also because it doesn’t sound like The Sound of Arrows would ever allow themselves to come close to that level of abandon. There are parts of this album, like ‘Magic’, ‘Longest Ever Dream’ and ‘Ruins Of Rome’, when they cut loose and just let a bloody great hook take over; but it is a curious end result, more subtle than your average straight-up pop album. I suppose in the end, I personally just prefer my pop to be a little bit grubbier than The Sound of Arrows are willing to get.